After the experimental trio of Presence Acusmatique (2013), the German composer opens the new year with a new solo work that links him to the writing of The Endless Environmental Change of Colour (2013) and Nostalgia (2011). Compared to the two previous works, affects a conncetion with that of 2011, of which, Beautyfear, seems a dramatized reworking, declined in a more tragic and claustrophobic sense. The experience of the long drone of The Endless Change of Colour is then archived for the benefit of a structured writing in shorter musical moments. Emerges and affects, in Beautyfear, construction of the songs through a cyclical repetition and overlap of a fairly limited number of single chord sequences, a technique that adopts the German composer in almost all of the tracks that make up the album. Except for Beautyfear VII, constituted by a single cycle of chords, the other tracks share generally the same compositional technique, that realizes through the overlapping or juxtaposition of two or three – however a limited number – of chordal sequences. Beautyfear IV, as an example, is realized through a sequence of chords ascending/descending of about 6” that moves on a resonant bottom of low intensity; whole completed by a further short crescendo starting at 0:45. In addition to coherent style, the album also expresses a certain homogeneity of timbre, using pad-like sounds, sometimes organ but still quite large and atmospheric, aimed to express a setting rather dark, made of closed spaces and tight. Only Beautyfear VIII presents the choices a bit different timbre reminiscent of the sound of a wind instrument. Times is very slow, so as to confuse the perception of the real duration of all tracks, an average of just over 4 minutes. The rhythm is rather fluid, slightly marked, though some most interesting solutions emerge precisely where there are more cadenced rhythms. The most interesting tracks, in fact, is characterized precisely by a rhythmic marked with greater decision compared to the other. One aspect that is little expressed in Beautyfear IX but more evident in Beautyfear XI, the most beautiful track on the album. If the entire album settles on a general feeling of melancholy, veiled despair, and if the other tracks appear as different shades of gray scale, Beautyfear XI draws black, violently emphasizing the tragic element. The lockout repetition of the chord sequences, along with their dramatic brevity, expresses some claustrophobic anxiety, an immobility that is petrified by fear, horror. In Beautyfear XI, Marsen Jules breaks away from the writing of other extensive previous tracks back almost a form of song to be able to give more drama with a gimmick much overused as effective as the empty sound between 3:10 and 3:35. Marsen Jules is considered by many as one of the most interesting composer of contemporary electronic music, and actually his discography seems to confirm it (Qwartz prize in 2009 under the krill.minima pseudonym for the album urlaub auf balkonien), showing his natural ability to being able to wander through diverse and varied uses of electronic media that led him to musique concrete, glitches and blends with traditional instruments. 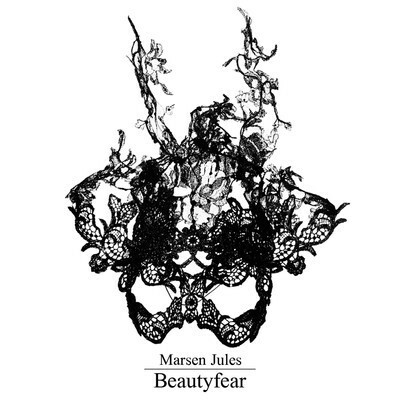 Beautyfear, only the last of many, more clearly shows his predilection towards the sounds atmosferische but I think the most beautiful part of Mersen Jules is not in the choice of one approach or the other but rather derived from those albums in which he could to achieve a balance between all the elements. For this Beautyfear despite being a very good album does not sound like his best.